In a rather inadvertent manner, thermal imaging has become a popular technique in my laboratory. It started during my post-doc at UBC when I heard that someone had an old, thermal imaging system collecting dust in a closest somewhere. This was a device that required liquid nitrogen to keep the sensor cold in order to measure anything meaningful. I was able to use it to look at thermoregulatory signatures in the hibernating ground squirrel. When I started my own lab at Brock University in 2003, NSERC was kind enough to fund an equipment grant I submitted for a thermal imaging system (much to my surprise and eventual delight). Ever since then (2003), my lab has used thermal imaging as a non-invasive method of assessing body temperature, infer changes in peripheral blood flow, estimate evaporative cooling (and breathing), along with a host of other applications we have perfected over the years. Infrared thermography is a non-invasive technique that measures mid to long-wave infrared radiation emanating from all objects and converts this to temperature. As an imaging technique, the value of modern infrared thermography is its ability to produce a digitized image or high speed video rendering a thermal map of the scene in pseudo-colour. Spectral Radiance of Electromagnetic Radiation, showing the range of visible light, mid-wave infrared (MWIR) and long-wave infrared (LWIR). For biological purposes, we usually use LWIR since the surface temperatures being estimates are ~300 K.
Since temperature is an important environmental parameter influencing animal physiology and metabolic heat production an energetically expensive process in endotherms, measuring temperature and energy exchange in animals is critical to understanding physiology, especially under field conditions. As a non-contact approach, infrared thermography provides a non-invasive complement to physiological data gathering. This is an important advance for the field, since we can enhance biological knowledge without necessarily handling the animal or inducing stress-induced or biased data. One caveat, however, is that only surface temperatures are being measured, which guides much research to those thermal events occurring at the skin and insulating regions of the body. As an imaging technique, infrared thermal imaging is also subject to certain uncertainties that require physical modeling, which is typically done via built-in software approaches. Typical considerations in any thermal imaging application involving animals requires understanding (and usually control over) of the environmental conditions above. 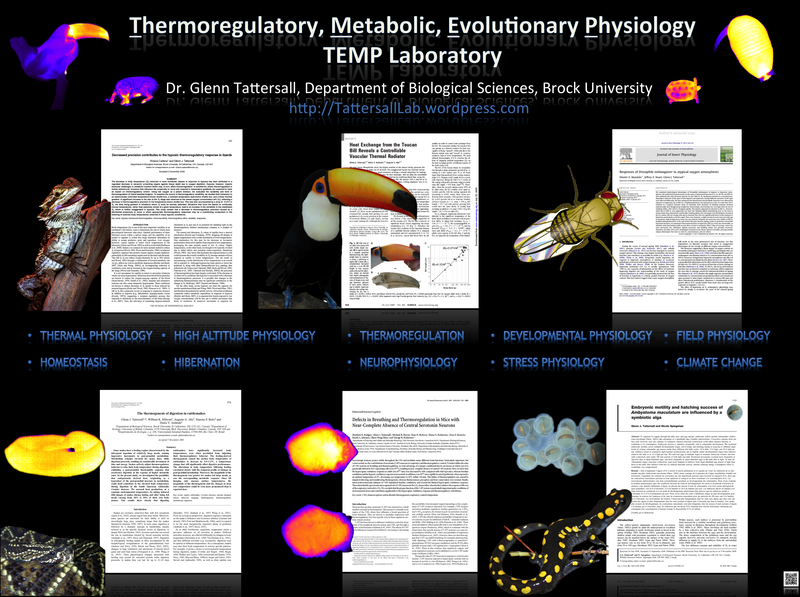 Infrared thermal imaging has enabled different insights into the comparative physiology of phenomena ranging from thermogenesis, peripheral blood flow adjustments, evaporative cooling, and to respiratory physiology. In the review listed below, I provide background and guidelines for the use of thermal imaging, primarily aimed at field physiologists and biologists interested in thermal biology. I also discuss some of the better known approaches and discoveries revealed from using thermal imaging with the objective of encouraging more quantitative assessment. Thermal imaging cameras are relatively easy to use, but still require attention to detail. In an example below, I show how suppressing the internal “calibration” function of a FLIR SC 660 can lead to significant drift in the signal of an animate object over time. Thermal Imaging drift requires attention to internal calibration requirements of the camera. Since it is relatively easy to take thermal images, and since more consumer based solutions will appear on the market, I would like to encourage a careful, quantitative approach to thermal imaging. To aid with that, I have written a Package for R, called Thermimage, that is freely available online (see below). It will not (yet) analyse the images, but it can facilitate many of the mind-numbing calculations required to correct thermal images in exacting conditions, as well as provide formulae used in the physical modelling of heat exchange. Tattersall G.J. 2016 Infrared thermography: A non-invasive window into thermal physiology. Comp Biochem Physiol A Mol Integr Physiol. (doi:10.1016/j.cbpa.2016.02.022). Tattersall, G.J. 2016. Thermimage: Thermal Image Analysis. A Package for R – CRAN Repository. A collection of functions I used regularly in thermal image analysis for correcting for environmental distortion and for estimating heat exchange from thermal images.